For many people, the largest single investment they own is their personal residence. * to claim a casualty loss on your tax return in the event of a natural disaster or fire. You are allowed to deduct losses from floods, tornadoes, hurricanes, etc that are not covered by insurance, provided that you file an insurance claim. However, your loss is limited to the lesser of your property's tax basis or its decline in value, less any insurance proceeds. You need to know your cost basis in order to make this calculation. The casualty loss is claimed on Form 4684 and Schedule A. For tax years 2018-2025, only federally declared disasters are eligible for casualty loss deductions. Only casualty losses in excess of ten percent of your adjusted gross income are deductible, with a $100 floor. For federally declared disasters, you can elect to claim the casualty loss in the year it happened or in the preceding tax year to get a refund faster. 1. Purchase Price. The actual sales price listed on the real estate sales contract when you bought your home is your initial starting point in computing your cost basis. 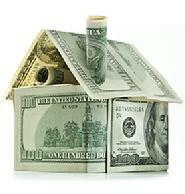 If the home was a gift to you, you receive a carryover basis from the donor. If you inherited the home, your cost basis is the market value at the date of death or alternate valuation date. 2. Additional Acquisition Costs. Your cost basis is increased by the costs you incurred directly related to purchasing the home, such as attorney fees, title insurance, stamp taxes, transfer fees, recording fees, surveys, home inspection expense, etc. Many of these costs can be located on the closing statement which you received at the settlement conference. Note that real estate taxes and property insurance are NOT considered additional acquisition costs. Recurring items such as painting are considered repairs and maintenance, not additions to your cost basis. 4. Indirect Improvements. For owners of condominiums, many improvements are made indirectly and paid for through condo dues, either regular monthly or special assessments. Be sure to keep the annual audit report or financial statements for every year you own a condo because it contains valuable information about permanent improvements paid via condo dues. Some condo management companies will even provide an annual listing to all unit owners of the improvement expenditures and the share allocable to your unit based on your percentage ownership of the building. Typical improvements in this category would include: roof replacement, boiler, air conditioning compressor, furnace, common area carpet and fixtures, tuckpointing, fire sprinklers, insulation, new piping, landscape enhancements, etc. 5. Depreciation. If you claim depreciation expense at any time while you own your home, the amount of depreciation is a reduction in your cost basis. For instance, if you have a home office or if you rent out your home for a period of time, you can claim depreciation. 6. Deferred Gains. You may have previously owned another home where you did not pay all the capital gain tax when you sold it because you rolled some or all of the gain over to your next home. In this case, the capital gain that was deferred under tax law by rollover is an adjustment (decrease) in your cost basis for the second home. Current tax law allows an exclusion (not a rollover) of up to $500,000 in gains for a married couple ($250,000 for singles) who meet ownership and use tests. You must have used the property as your principal residence of two out of the past five years and not claimed an exclusion within the past two years in order to receive a full exclusion. Partial or reduced exclusions are also available. Previously an unlimited amount of gain could be deferred as long as your next house cost more than the previous one. This rule no longer applies. Deferred gains may also result from involuntary conversions such as fire loss insurance proceeds or public use condemnation awards. You need to keep a copy of your tax return in the year of sale to document the rollover amount. You also need to keep documentation of all the items that went into the determination of your cost basis for the previous home--closing statements, receipts for improvements, etc.--until you sell your final home and don't rollover the gain anymore. For most people, this means basically forever. It is strongly recommended that you make a xerox copy of all thermal print receipts because the print will fade with time and you won't be able to read it by the time you need it. We have just hit the highlights in the vast subject area of cost basis for personal residences. Many other topics, such as options granted, construction costs of a new home, partial exclusion of gain, business use of a portion of the home, etc. have not been addressed. This page is a starting point for you to understand some of the issues involved. See IRS Publication 523 for further information about the cost basis of your home and gain on sale.